The End of the Bench Mob? March 9, 2016 Mike College Basketball Comments Off on The End of the Bench Mob? The famed season of the fun-loving bench mob of the Monmouth Hawks might have ended on Monday night. On Monday, the Hawks lost the MAAC Conference championship game to Iona. A win, of course, would have guaranteed them a spot in the NCAA Tournament and a chance for the famed bench mob to go even more mainstream (although in a social media world, most have probably seen some of their celebrations). The question that remains is has Monmouth done enough to earn an at-large bid in the NCAA Tournament? The MAAC conference is not much to write home about and that would cause some people to dismiss them immediately. Others might point to the fact that they lost to Army, Canisius and Manhattan (three teams outside the RPI Top 200 – not good). But they do have several solid wins against big schools on their resume that could provide enough to give them a boost. They beat UCLA and Georgetown in their house and they beat USC and Notre Dame at neutral locations. Add to the fact that they only had 11 games at home all season, they had an RPI of 47 and they were regular season conference champs, Monmouth deserves to be strongly considered. I think it all comes down to how the big conference tournaments finish. If we have a couple of upsets that could hurt Monmouth’s chances as other bubble teams get big wins or even steal automatic bids. 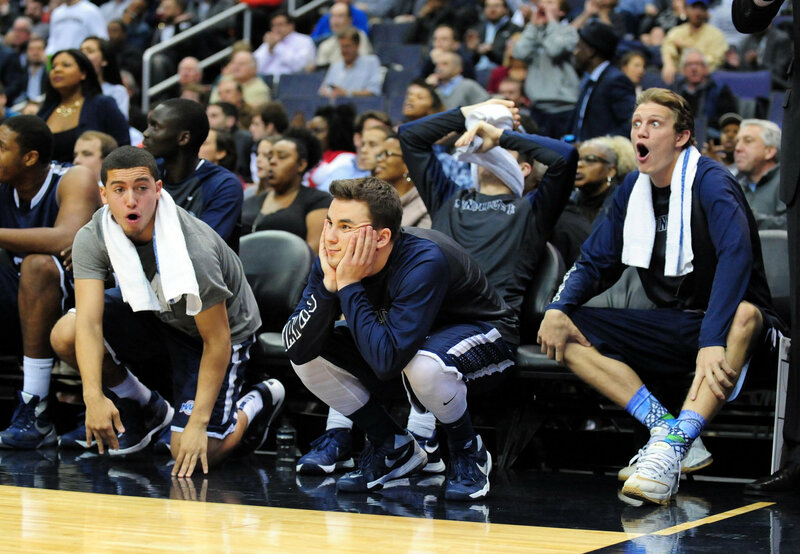 Can Monmouth overcome their poor conference and make the tournament, only time will tell, but I sure hope their bench gets one more time to show their madness this March. Previous Post:The NBA Dunk Contest is Back!